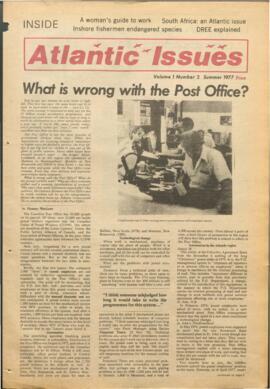 Item is a special publication by Oxfam in cooperation with the Dalhousie Gazette focused on Atlantic Canadian issues, published in Summer, 1977. Item is a special publication by Oxfam in cooperation with the Dalhousie Gazette focused on Atlantic Canadian issues, published in Fall, 1977. Feature article regarding the state of prisons in Atlantic Canada. 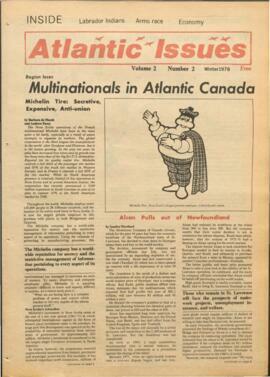 Item is a special publication by Oxfam in cooperation with the Dalhousie Gazette focused on Atlantic Canadian issues, published in Winter, 1978. Feature article regarding the role of multinational corporations in Atlantic Canada. Item is a special publication by Oxfam in cooperation with the Dalhousie Gazette focused on Atlantic Canadian issues, published in Fall, 1978. 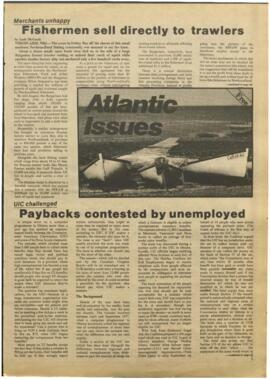 Item is a special publication by Oxfam in cooperation with the Dalhousie Gazette focused on Atlantic Canadian issues, published in Spring, 1979. Item is a special publication by Oxfam in cooperation with the Dalhousie Gazette focused on Atlantic Canadian issues, published in Winter, 1980. 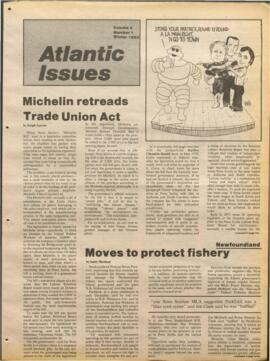 Feature article regarding the Michelin led changes to the Nova Scotia Trade Union Act. Item issued as a supplement to The Dalhusie Gazette under the authority of Oxfam. 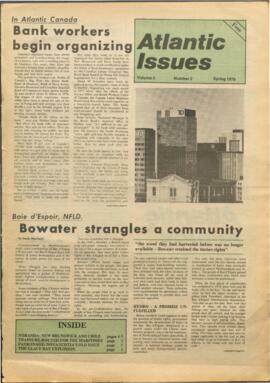 Item is an issue of the Dalhousie Gazette published on January 20, 1977. Issue is a satirical/comedic issue. Fonds consists of correspondence regarding Dalhousie Alumni News. 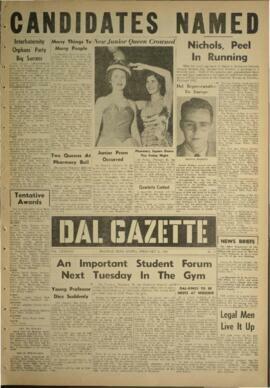 Item is an issue of the Dalhousie Gazette published on October 12, 1955. 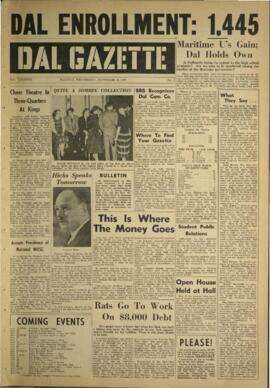 Item is an issue of the Dalhousie Gazette published on January 4, 1956. 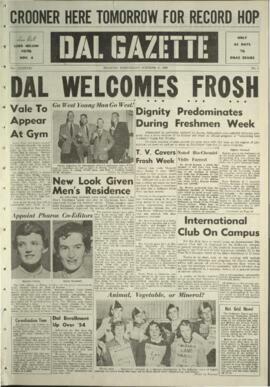 Item is an issue of the Dalhousie Gazette published on January 11, 1956. 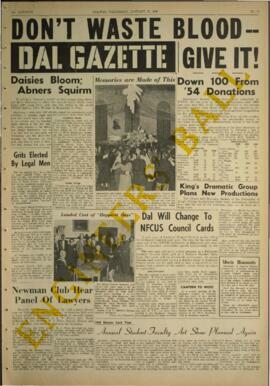 Item is an issue of the Dalhousie Gazette published on January 18, 1956. 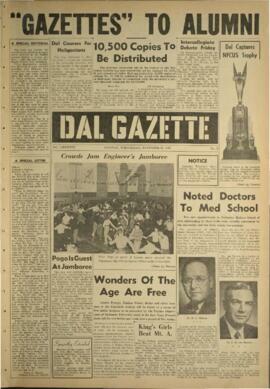 Item is an issue of the Dalhousie Gazette published on January 25, 1956. 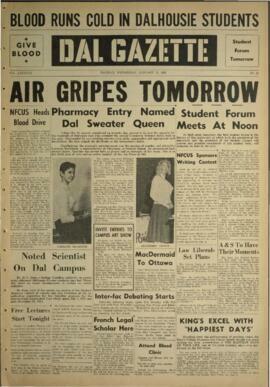 Item is an issue of the Dalhousie Gazette published on February 1, 1956. 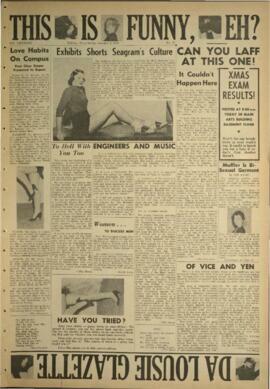 Item is an issue of the Dalhousie Gazette published on February 8, 1956. 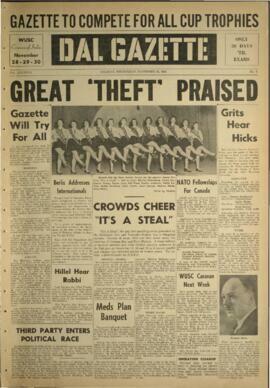 Item is an issue of the Dalhousie Gazette published on February 15, 1956. 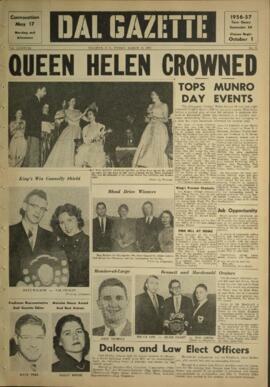 Item is an issue of the Dalhousie Gazette published on February 22, 1956. 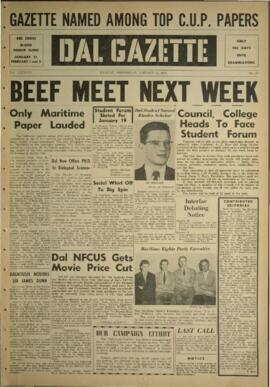 Item is an issue of the Dalhousie Gazette published on February 29, 1956. 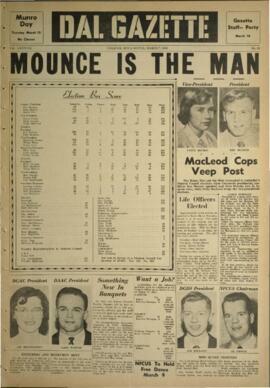 Item is an issue of the Dalhousie Gazette published on March 7, 1956. 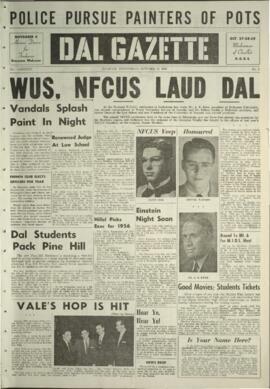 Item is an issue of the Dalhousie Gazette published on October 19, 1955. 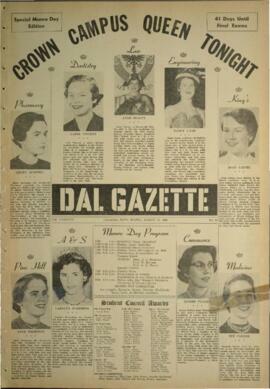 Item is an issue of the Dalhousie Gazette published on March 13, 1956. 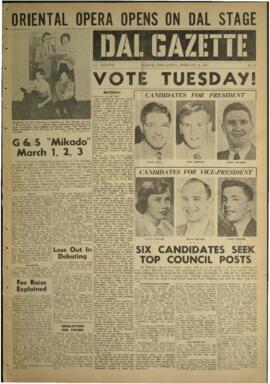 Item is an issue of the Dalhousie Gazette published on March 16, 1956. 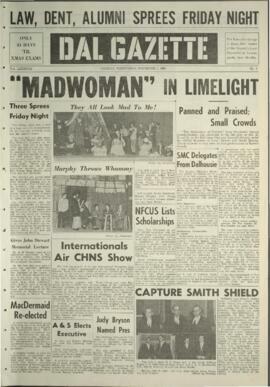 Item is an issue of the Dalhousie Gazette published on October 26, 1955. 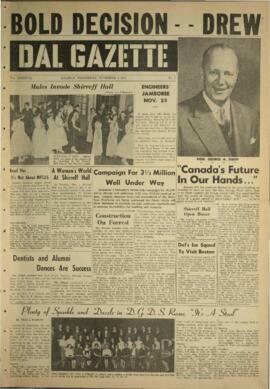 Item is an issue of the Dalhousie Gazette published on November 2, 1955. 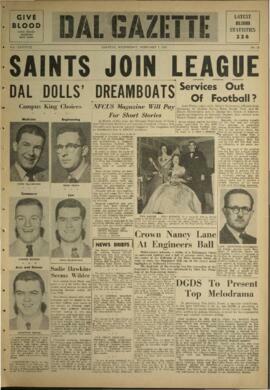 Item is an issue of the Dalhousie Gazette published on November 9, 1955. Item is an issue of the Dalhousie Gazette published on November 16, 1955. 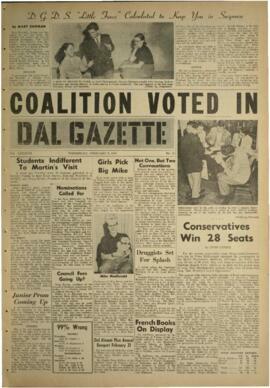 Item is an issue of the Dalhousie Gazette published on November 23, 1955. Item is an issue of the Dalhousie Gazette published on November 30, 1955. 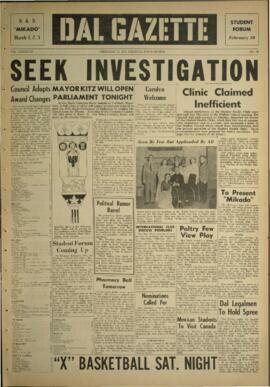 Item is an issue of the Dalhousie Gazette published on December 7, 1955. Item is an issue of the Dalhousie Gazette published on November 17, 1877. Item is an issue of the Dalhousie Gazette published on March 22, 1878. Item is an issue of the Dalhousie Gazette published on April 5, 1878. Item is an issue of the Dalhousie Gazette published on May 1, 1878. Item is an issue of the Dalhousie Gazette published on November 30, 1877. Item is an issue of the Dalhousie Gazette published on December 14, 1877. Item is an issue of the Dalhousie Gazette published on December 27, 1877. Item is an issue of the Dalhousie Gazette published on January 11, 1878. Item is an issue of the Dalhousie Gazette published on January 25, 1878. Item is an issue of the Dalhousie Gazette published on February 8, 1878. Item is an issue of the Dalhousie Gazette published on February 22, 1878. Item is an issue of the Dalhousie Gazette published on March 8, 1878. Item is an issue of the Dalhousie Gazette published on November 14, 1969. Item is an issue of the Dalhousie Gazette published on November 21, 1969. Issue features articles regarding the war in Vietnam. 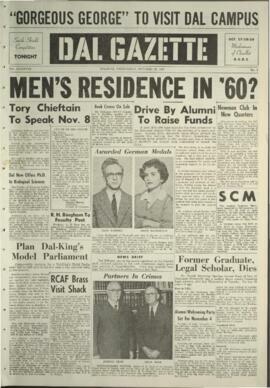 Item is an issue of the Dalhousie Gazette published on November 28, 1969. Item is an issue of the Dalhousie Gazette published on December 5, 1969. 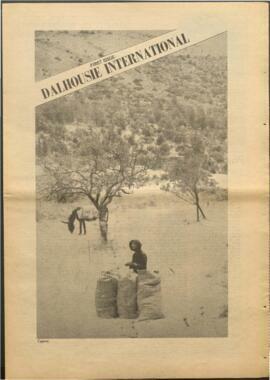 Item is an issue of the Dalhousie Gazette published on January 19, 1970. Item is an issue of the Dalhousie Gazette published on January 26, 1970. Item is an issue of the Dalhousie Gazette published on February 2, 1970. Feature article regarding Chuck Berry. Item is an issue of the Dalhousie Gazette published on February 9, 1970. Feature article regarding a speech being given at Dalhousie by two Black Panthers regarding police action against the group in the United States.